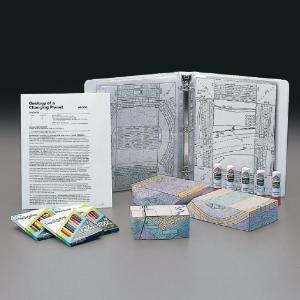 Let your fingers do the folding, forming and finishing with this fun geological model making kit. Students make paper models to illustrate five types of geological phenomena and processes: folding and faulting, superposition, seafloor spreading, subduction and relative dating. Using flat, black line drawings, students color, cut, fold and glue to create three-dimensional models. An accompanying guide includes questions and extension activities to help students better understand each type of geological phenomenon being illustrated. Teacher developer Joe Gilbert has thought of everything with this kit — he's even included a practice model for every student, a blank model template for students to make their own designs, a three-ring binder with plastic sleeves to hold and organize the teacher's templates, and a performance based assessment to make your job easy! Grades 7-10. 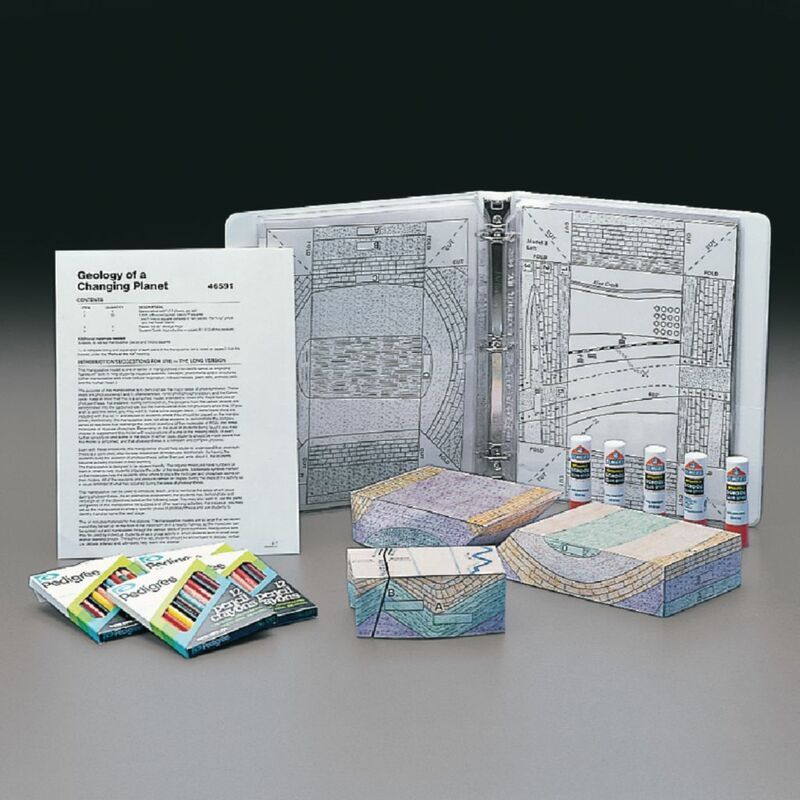 Includes: materials for 30 students, including colored pencils, binder with plastic sleeves, glue sticks, 30 blackline drawings for each of the seven model types, and complete instructions for both the teacher and students.